Intelligent containers are set to play an increasingly important role in supporting new levels of efficiency, safety and transparency. For shipping container manufacturers, intelligent containers create opportunities to differentiate and expand offerings to the end customer. This case study examines how China International Marine Containers (Group) Ltd. (CIMC), one of the world’s largest makers of shipping containers, with 48% claimed market share (Source: Berg Insight), via its subsidiary CIMC Hitech, has developed the intelligent container to support the logistics needs of Industry 4.0. By integrating global connectivity and traceability with sensors and tracking devices within containers, CIMC is able to offer services that better answer customer needs. CIMC has developed the intelligent container to support the logistics needs of Industry 4.0. Shipping containers are the most widely utilised transport method in the world. Responsible for more than 80% of global transportation of trade goods, the standardised TEU (twenty-foot equivalent) container became increasingly popular after World War II, and their use continues to grow today. 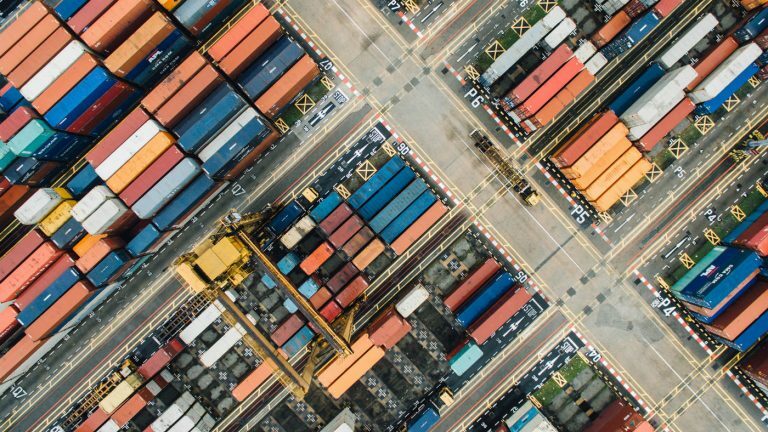 While no one knows exactly how many containers are currently in use, a conservative estimate would be that there are 28 to 31 million traveling around the globe today. Two to three million additional containers are produced and deployed each year. With more and more containers in transit, it is increasingly complex to keep track of an individual container and the status of its contents. At the same time, manufacturers, wholesalers, retailers all need to increase profitability through better stock control and loss prevention. Regulation and consumer demands create additional pressures. For example, to ensure quality, pharmaceuticals and fresh produce companies need to assure their goods are being safely transported in cold chain at specific temperatures. The solution to all these challenges may be found in intelligent containers. There has historically been a low degree of differentiation between container manufacturers. Since the late 1990s, the industry has transitioned from being highly fragmented to considerably consolidated. Chinese manufacturers now dominate the market, accounting for more than 97% of global container production volume (Source: Berg Insight). Mobile technology advances mean that connectivity for individual containers can now be provided at a reasonable cost. 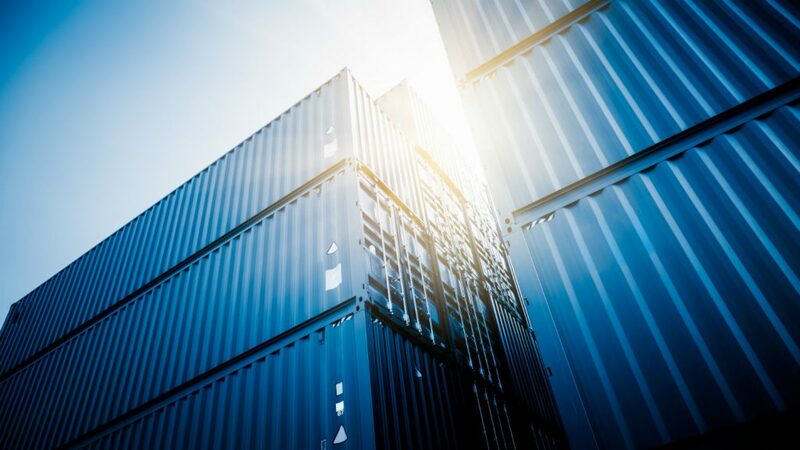 Internet of Things (IoT) technology, coupled with this mobile connectivity, has made it possible for containers to become intelligent. These advancements are enabling logistics equipment manufacturers such as CIMC to differentiate by providing a wider range of value-added services, fitting customers’ needs for more advanced traceability, control and security. The ancient Silk Road was not one single highway, but a number of routes linking China to Europe, initially forged by traders using pack animals and carts. Those hard-worn paths are still in use today, though the caravans have been replaced with TEU shipping containers travelling along road, rail and waterways. The People’s Republic of China (PRC) now accounts for approximately 12% of worldwide merchandise trade (Source: World Trade Organization). The continuing importance of the old Silk Road in transporting those goods is reflected in China’s One Belt One Road Initiative, introduced in 2013 in order to accelerate economic growth from the Asia Pacific region through Central and Eastern Europe. This development strategy (renamed The Belt and Road Initiative in 2016) was proposed by the Chinese government to bridge economic and technological gaps, with a focus on connectivity and cooperation between China and Eurasian countries in the land-based Silk Road Economic Belt (SREB) and along the Maritime Silk Road (MSR). As goods travel from China across multiple countries and continents, it has historically been difficult to track shipments or to control and guarantee transport of more sensitive goods with requirements such as an unbroken cold chain. Loss and theft, along with customs and port authority processes can also slow down shipments. In order to find new solutions to these long-standing problems, CIMC established its CIMC HiTech subsidiary to develop and deploy intelligent technologies for integration into the parent company’s products. While it initially focused exclusively on smart containers, CIMC HiTech is now expanding its focus to address all logistics equipment. The Telenor Connexion solution is cost efficient when connecting a large number of products, providing reliable connectivity with an excellent service level. CIMC HiTech aims to help customers transform from traditional logistics firms to businesses that use big data in effective ways. 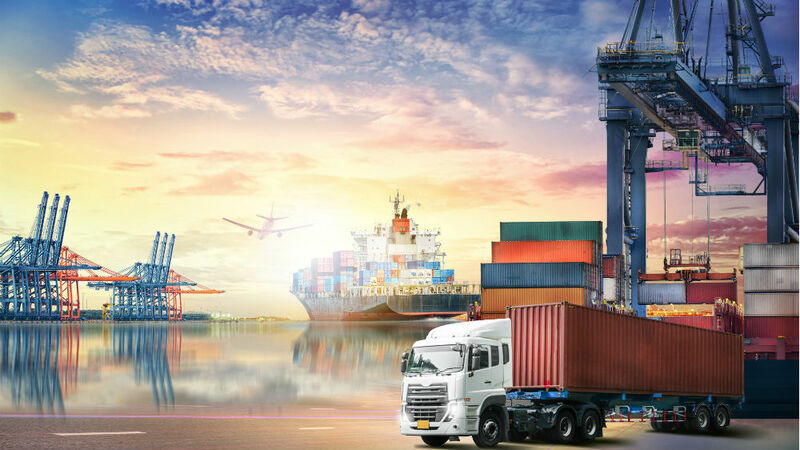 Cooperation between key players in the logistics chain will build a connected ecosystem of smart containers and other smart equipment, which will enable the transformation CIMC HiTech envisions. To accelerate transformation, CIMC HiTech founded the Global Smart Container Alliance together with Telenor, Huawei, ZTE, AuEase and many more innovative companies across the industry value chain, along with logistics standards organisations. The aim of the Alliance is to combine knowledge and information from relevant partners, to establish a market standard, and to promote smart containers. 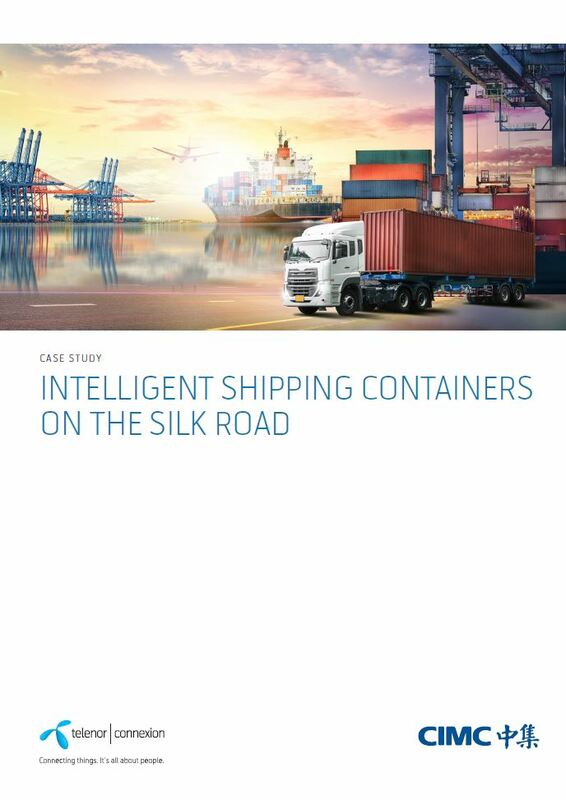 In the spring of 2018, the first CIMC HiTech smart shipping container connected by Telenor Connexion made the voyage along the Silk Road, transported by truck, train and ship. Read the whole story and download the white paper. Learn more about our IoT offering or get in touch with one of our IoT specialists, we are happy to discuss your ideas for connected products!